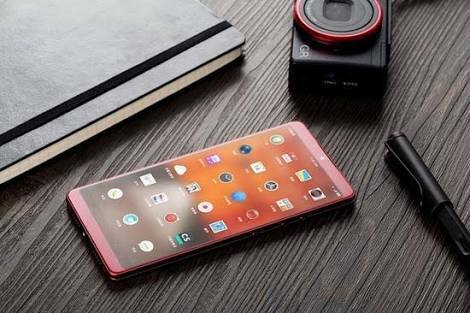 One of the most silent China smartphone maker I’m sure most of you haven’t heard of is Smartisan. Unlike Xiaomi and other Chinese smartphone OEMs, Smartisan is not the laud and the always-smartphone-launching OEMs that you hear and see in the news now and then. But one unique thing about this guys is that they are UNIQUE. Here is what I mean; although you don’t get to see them launching gadgets every month/quarter, but whenever they do, you can be very sure to get something unique. 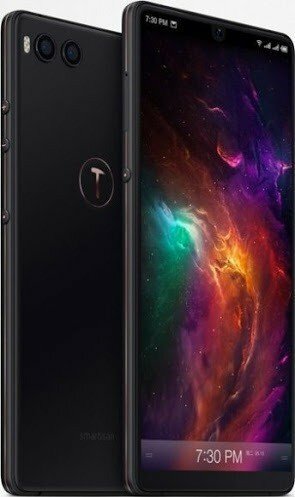 And talking about uniqueness, please meet Smartisan Nut R1, the world first smartphone with a whopping 1 Terabytes of internal storage. 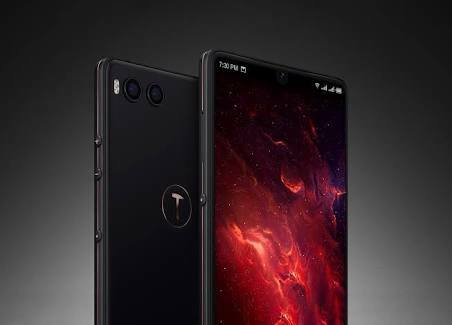 The Smartisan Nut R1 was unveiled in China yesterday, setting the world record, as the first smartphone to boost the largest internal storage so far. I got excited when I first came across leaked images belonging to the upcoming HTC U12+. Why? Because HTC seems not to be thrilled by the trending notch display introduced by Apple in their iPhone X launched last year. Interestingly, Smartisan have also shown that display cut-out isn’t a big deal to them. Although, the display practically reaches the top with a cut-out for the front-facing camera and a slit for the earpiece. 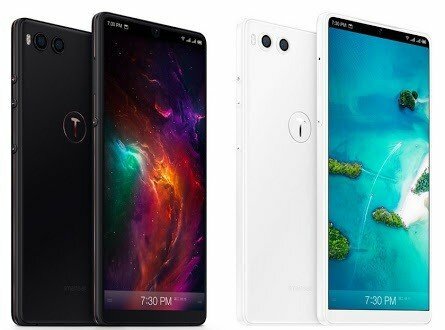 But despite having having the display on the Smartisan R1 reaching the top of the phone, the device is still not able to exceed 84% screen-to-body ratio, due to the slightly notable bezel below the display. 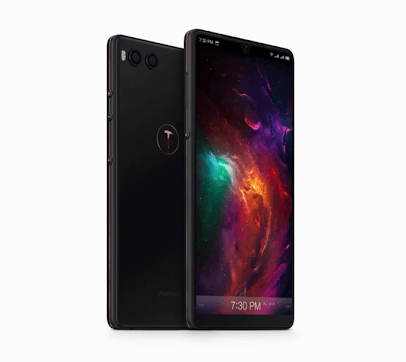 At the back, you get a 3D glass and grade 7 aluminum frame running through the circumference of the R1, with the fingerprint scanner neatly hidden under the rounded Smartisan logo at the back of the device. The R1 is fuelled by a 2.8Ghz Qualcomm Snapdragon 845 processor coupled with Adreno 630 GPU. It comes either; 6GB RAM + 64GB storage, or 6GB RAM + 128GB storage, 8GB RAM + 128GB storage, or 8GB RAM + 1TB storage. At the back, the Smartisan R1 has dual rear cameras same as seen on the recently announced Xiaomi Mi MIX 2S. The primary sensor is a 12-megapixel Sony IMX363 sensor with an f/1.8 aperture, 1.4 μm pixel size, 4-axis OIS, and dual PD extreme focus. The second is a 20-megapixel Sony IMX350 with an f/1.75 aperture, 1μm pixel size, and 6-pieces lens. Up-front, you get a 24MP sensor with an f/2.0 aperture, ArcSoft ray algorithm and AI real-time beauty mode, with support for FaceID. The Smartisan R1 has support for Bluetooth 5.0, dual-band Wi-Fi, NFC+eSE, and has a USB-C port. There’s a dual SIM support (nano+Nano-SIM ) and global LTE band support. Power is supplied by a 3600mAh battery, with support for the latest Qualcomm Quick Charge 4+ along with 10W wireless charging. The 6GB RAM + 64GB is priced at ¥3,499, that is around $549. The higher 8GB RAM + 128GB is priced at ¥4,499, translating to $705.